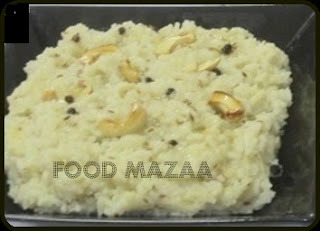 This is a very simple South Indian dish which is not spicy. Raw banana and drumsticks are must in this preparation with the addition of few more vegetables like carrots beans and chuchu. These vegetables are cooked with a flavourful blend of coconut, ginger, cumin and green chillies and tempered with curry leaves and asafoetida. Preferably coconut oil is used for tempering but you can substitute it with any cooking oil. This can be served with Pongal and appams. 2. Boil the adding salt and turmeric until they are almost done. ( don't overcook them) Drain and set aside. 3. Grind the coconut, ginger, green chillies and cumin seeds to a smooth paste. You may add a few curry leaves too if you like the flavour. 4. Heat oil in a pan and add asafoetida and curry leaves. Stir in the ground paste and saute for a minute. 5. Check the salt and add the boiled vegetables. Stir carefully making sure you don't break the vegetables. Simmer for a minute. 5. Now beat the yogurt and carefully stir it into the dish. Just simmer it for half a minute. Do not cook on high flame at this stage as it will curdle. 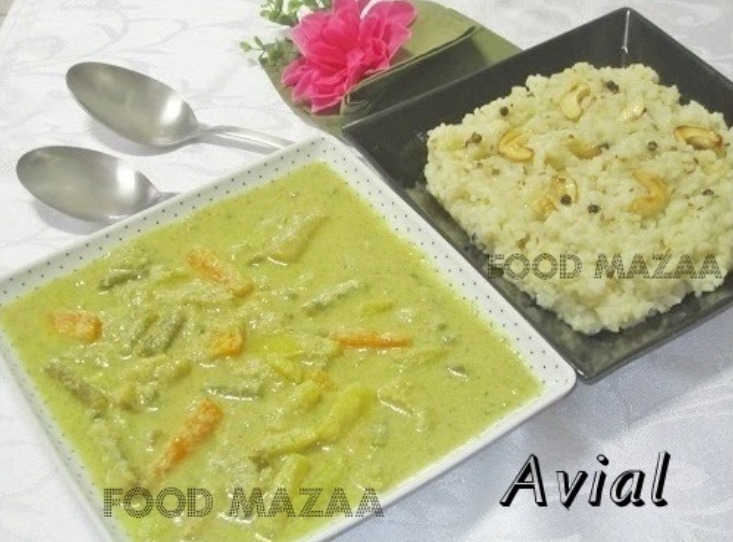 Avial looks colorful, healthy and yummy. Thanks dear.. it has all the colourful vegetables. Very nice avial.Love it any time, healthy too. My absolute fav.. looks great !! Delicious dish, quite authentic too.;Inviting. Very healthy and yummy avial. Comforting food. Yes Sanoli.. it is ! Nice recipe and healthy too. Looks good. Wish I had some for lunch! Thanks for linking my event, Sobha. Please link in original spotlight event page. Come participate and Win Hudson Canola oil gift hampers. 1st time here. Happy to follow u. Lets keep in touch! I like those flavours.so added them.